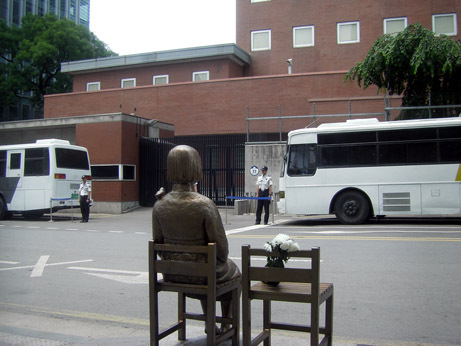 Seoul-South Korea on Thursday rejected Japan’s demand that a statue of a girl memorializing Korean “comfort women” erected in front of the Japanese Embassy in Seoul be removed. He urged Japan to present measures acceptable to the South Korean people and also to the international community. On Wednesday, South Korea and Japan held the 10th round of diplomats’ talks in Seoul to resolve the issue of Korean women forced to work at wartime brothels for the Japanese military. 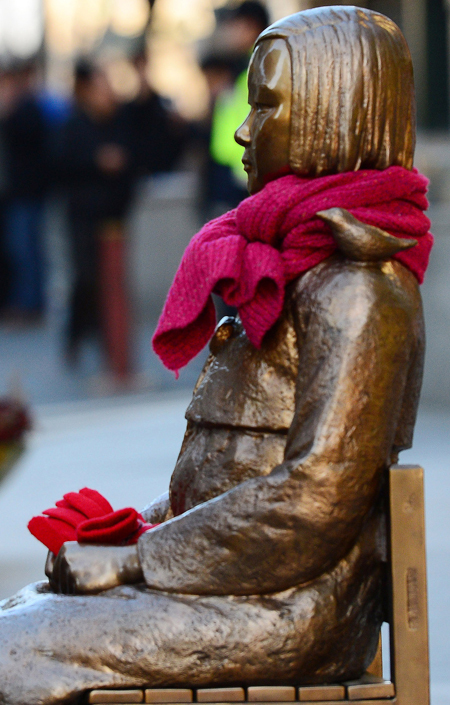 Japan reportedly demanded during these talks that the statue be taken down. South Korea is seeking the resolution of the comfort women issue possibly by the end of this year based on its demand that Japan settle the issue in a way acceptable to those women still alive, such as through apology and compensation. But Japan maintains that everything having to do with compensation was settled under the 1965 bilateral treaty that normalized diplomatic relations between Japan and South Korea.